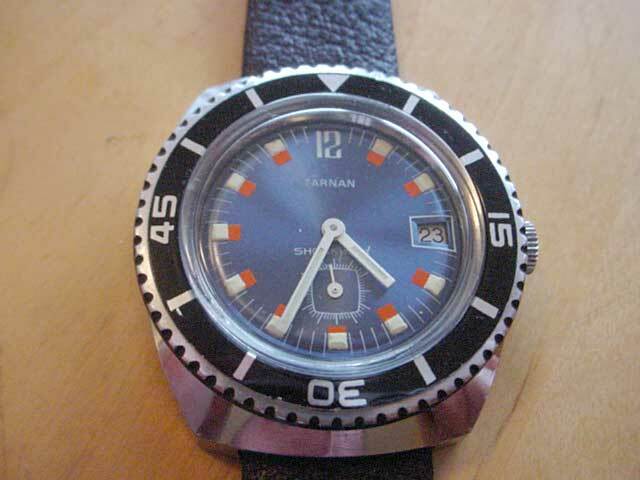 This is a classic-look divers watch from a swedish brand Tärnan. Sweden is known for its cool, minimalist designs, and this watch fits the bill exactly. 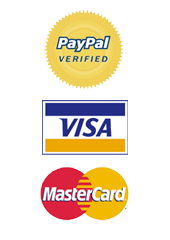 Mint condition, recent service, great colours, great fonts, lovely deep blue flawless face. Tells the date, and has the seconds going round at the bottom on the wee chrono. 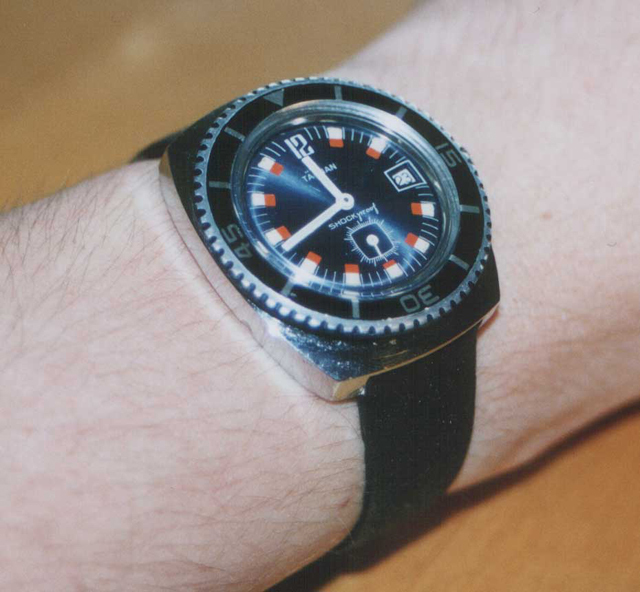 Watch comes on a brand new black leather strap. This is a top watch, at a great price. Pictures don’t do this watch justice, apologies for the photos! it would be nice to know if this is mechanical, automatic or quartz driven. Very cool watch, simple and very wearable due to its size! 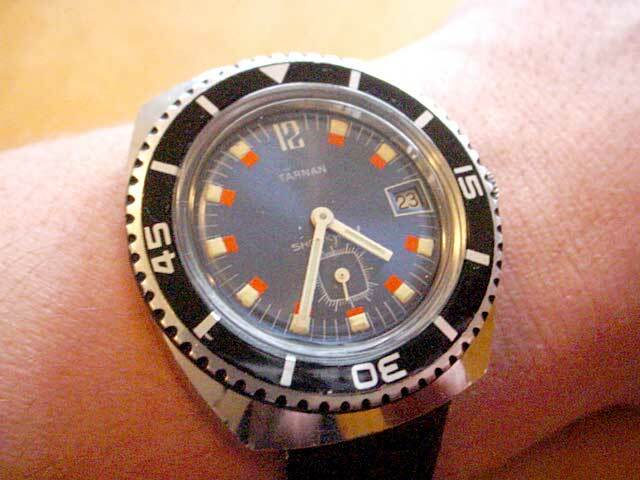 Is that similar to a retro FACIT diver? The ss case looks the same, the only difference is the sub seconds. 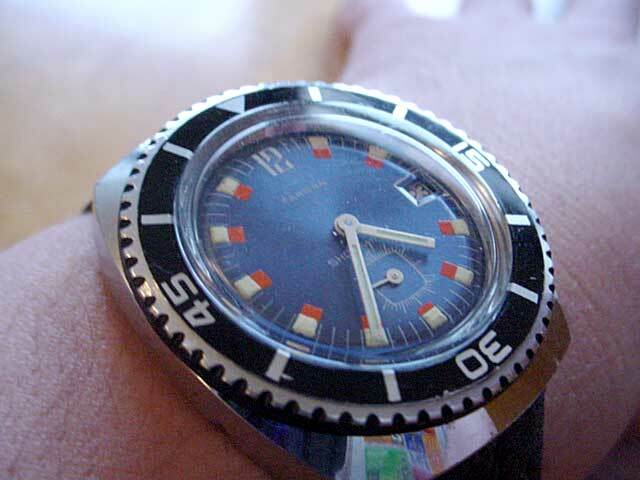 Is there any place where I can find both your watch and the FACIT diver watch?